These are some of my favorite sandals. They're comfy and casual, but definitely look better than flip flops. 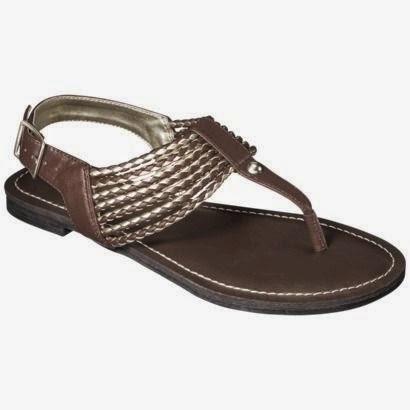 Mine are Steve Madden, but Target is selling sandals that look exactly the same! One of my co-workers has the Target brand, and we put our sandals next to each other and you cannot tell a difference! So, if you want to score a Steve Madden look-alike sandal, head to Target and scoop these up for $17! Thanks for the tip! I need some new brown sandals, so I just might do this!